LoRaWAN™ IoT - Connecting "Things"
Connect your “things” on Spark’s LoRaWAN™ low power wide area network with M2M One NZ. Spark’s LoRaWAN™ network is purpose built for Internet of Things applications and goes beyond traditional M2M communications. With LoRaWAN™ technology there are endless innovative application possibilities, from Smart Water Metering, Asset Monitoring, Smart Garbage collection, and improved Supply & Logistics Optimization. The LoRaWAN network suits IoT use cases that require low power consumption and long battery life at relatively low cost compared to Cellular networks. 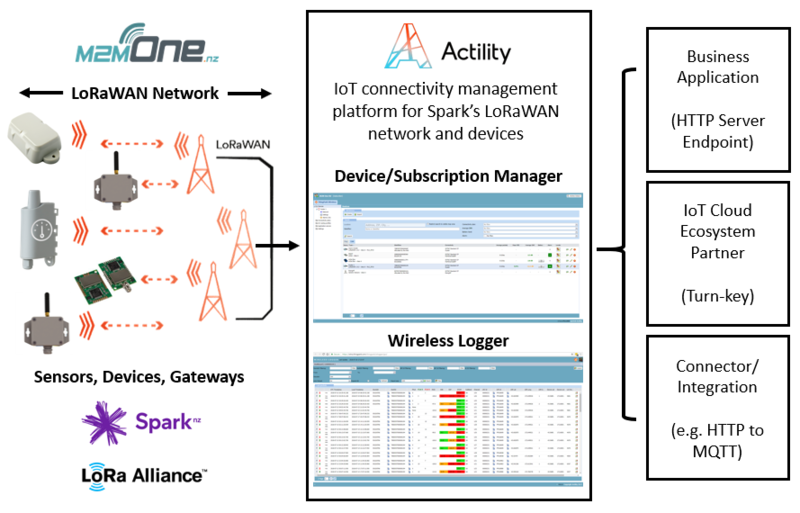 M2M One NZ provides Actility ThingPark platform access for LoRaWAN for device manage management. Spark has begun deploying their national LoRaWAN™ IoT network that will cover more than 70% of the NZ population by mid 2018 and around 80% of the population by 2020. LoRaWAN network build is underway and will cover around 70% of the population by mid 2018. Spark is investing to expand on this planned coverage based on customer demand. If you require coverage outside of the planned areas, please contact us to explore options available to meet your coverage requirements. Your experience may vary from the coverage shown depending on LoRa device characteristics, how it is used, and the local environment. Power Network. From helping you get set up with the M2M ThingPark Wireless Platform through to activating and managing your network of sensors. Contact us to find out more about M2M One NZ Connected IoT Low Power Services.